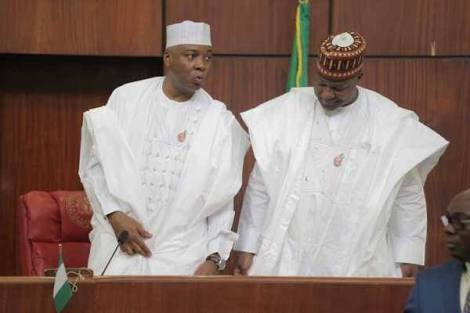 Saraki, Dogara Ready For Show Down With Buhari? The duo spoke in reaction to suggestions of a split in their rank over the matter. The Senate and the House of Reps want election into the national assembly first with the presidential poll coming last. The Nation reports that the amendment is already generating a lot of insinuations and discussions across the country.